This Christmas (2012) I gave in to nostalgia (once again) and purchased a copy of The Trigan Empire, which I first read when 13 or 14 (?). This is the tale of Trigo and his eponymous Trigan Empire, which implausibly rises from the primitive nomadism of the Vorg tribesmen who Trigo rules to building starships - all within his lifetime. It's solidly in the tradition of John Carter or the Lensmen or Flash Gordon, and - unfortunately - it too reflects the casual racism of the '60s and '70s and earlier periods. The Trigans all tend to be blond, blue-eyed Aryan types and their chief foes, the Lokans, are all drawn with a distinctly Asian cast of feature (as is Trigo's turncoat brother Klud, who's the only Vorg to sport a Lokan-style goatee). And we can only try to forget the green-skinned, ersatz Africans of Daveli. 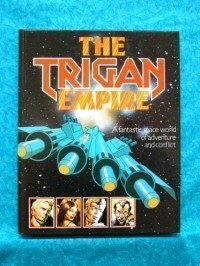 In its inspiration, The Trigan Empire is a retelling of the history of Rome. 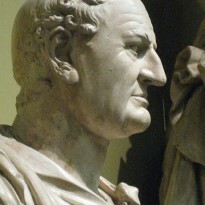 The city of Trigan is built on five hills (two fewer than Rome's); its people are tutored by the Tharvs, ersatz Greeks who are far more civilized and advanced than either Vorg or Loka; the city is a beacon of the republican virtues celebrated by Cicero; and its ruler is another Augustus (but with the heroic prowess of a Herakles). Despite its political incorrectness and its absurd plots, The Trigan Empire remains a favorite - if now guilty - pleasure, and I'm glad I managed to score a copy to own again.